Throwback Tuesday to RIO Olympic Moments! 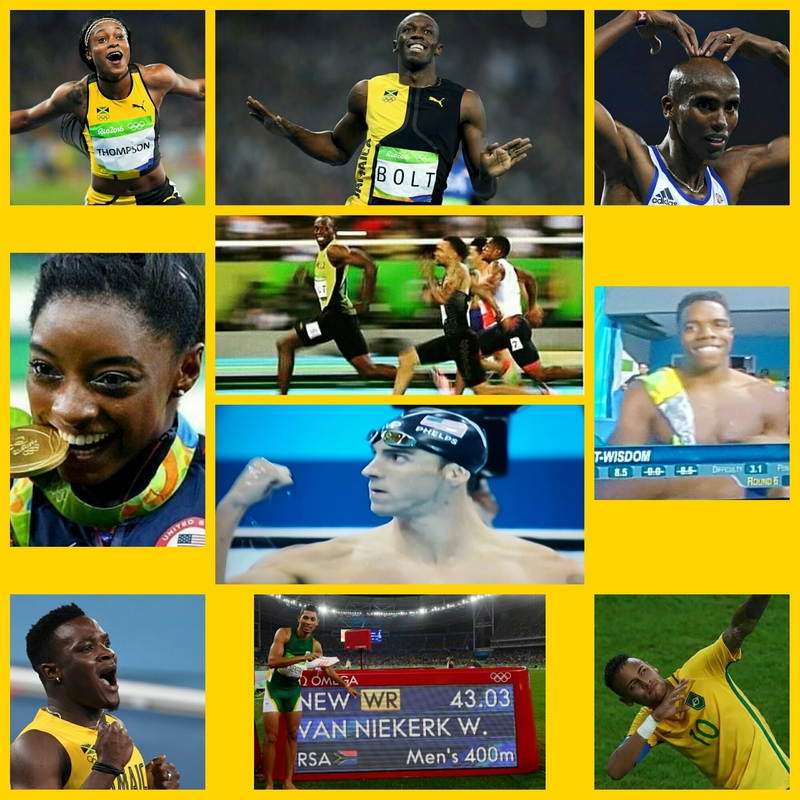 JAMAICA LEFT RIO WITH 11 MEDALS !!! Other than some disappointments with the Results of Athletes in Field events, Alia Atkinson finishing last in her Final in the Pool and some Athletes suffering injuries shortly before the Olympics, Jamaica just fell short of 1 medal according to what was expected. Looking at Quality over Quantity, Little but Tallawah Jamaica did quite well considering the current change in Generation of our Athletes. Jamaica finished with 6 Gold, 3 Silver and 2 Bronze Medals, placing an overall 23rd on the Medals table and 3rd in Athletics behind the USA and Kenya. Some Veterans failed to make it to RIO, some announced RIO may be their last Olympics and other Vets will hang around for Worlds next year, while the young ones are still blooming. However, a few bloomed early, such as Elaine Thompson, Omar McLeod and Shericka Jackson. We have a lot to be thankful for and we are proud of all of our Athletes and the tremendous effort they put out for the World to see. Let us not only relive Great Moments from our Athletes but Highlight some of the Greats from other Countries and Islands as well. ☆ Usain Bolt completing his first Triple, winning Gold in the Men’s 100m. 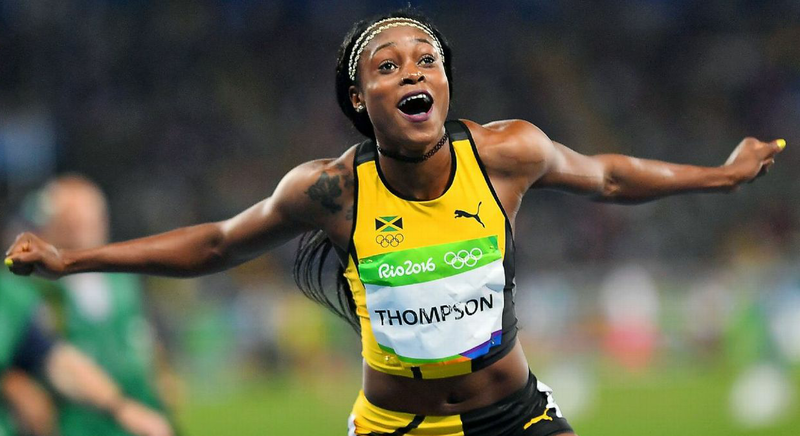 ☆ Elaine Thompson winning the Women’s 100m, separating herself from the field in 10.71s. 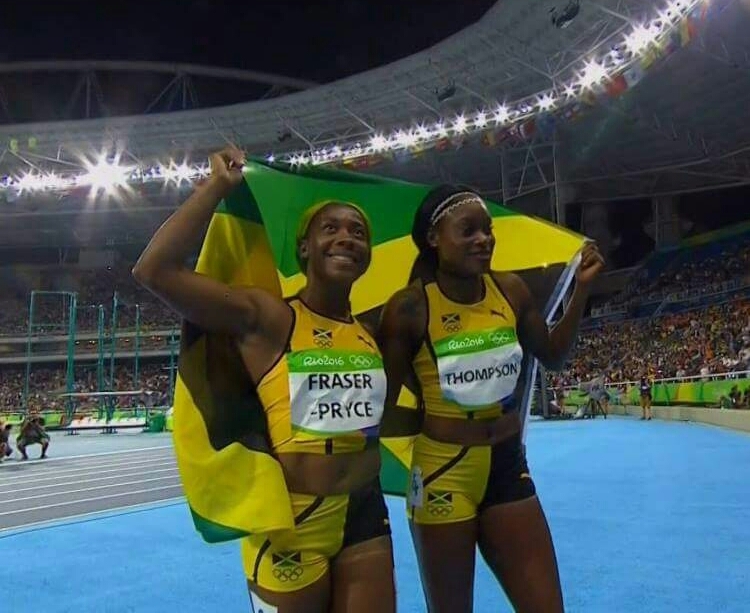 ☆ Shelly-Ann Fraser-Pryce going for history to be the first woman to get the Triple in the Olympics 100m, but getting the Bronze after Jamaica prayed for her toe following the Semi-Final that she won in tears from the pain. 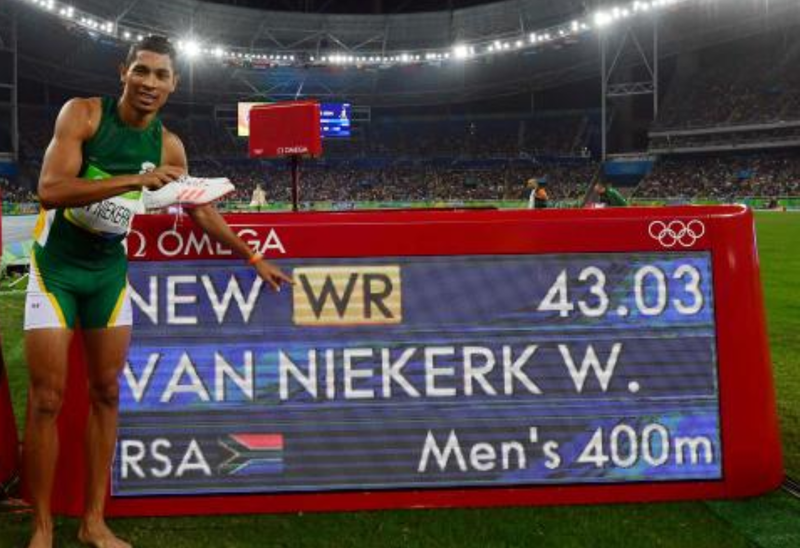 ☆ Wayde Van Niekerk of South Africa breaking the 17-year old World Record in the Men’s 400m set by Michael Johnson in 1999 from Lane 8! 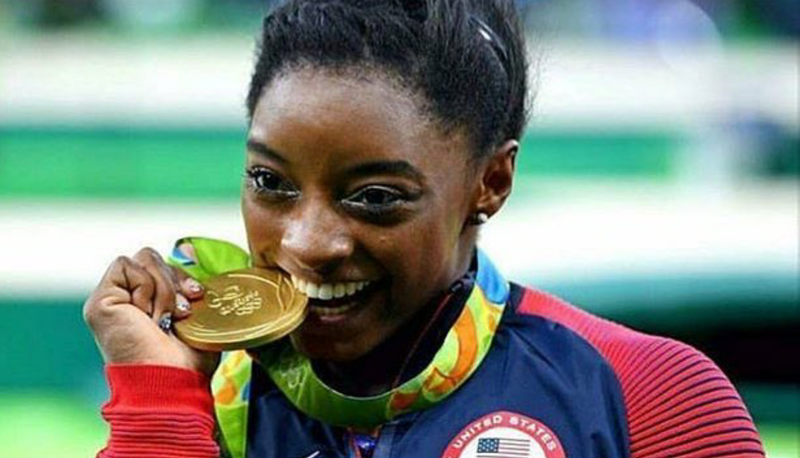 ☆ Simone Biles of the USA’s Final Five, winning 4 Gold and a Bronze, making up a combined total of 19 Olympic and World Championship medals. She is currently the most decorated American Artistic Gymnast after Shannon Miller of the Magnificent Seven, who held that record for 20 years. ☆ Michael Phelps of the USA still managing to dominate his individual races and play a significant role in his team’s relays, winning 5 Gold and 1 Silver. 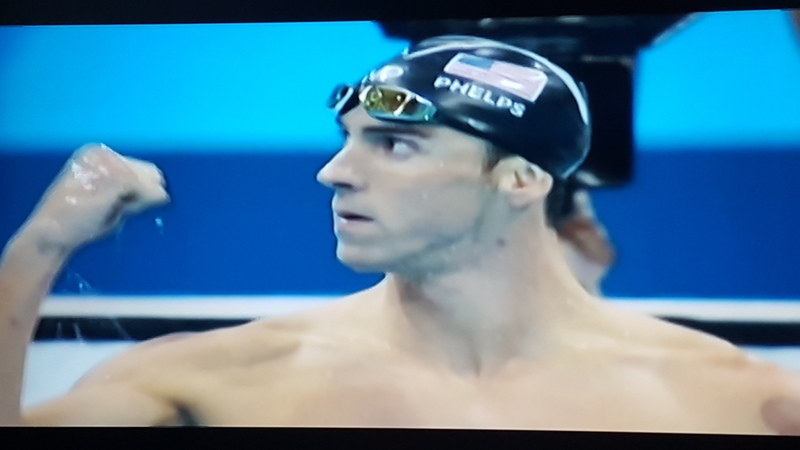 He retired from the Olympics to a standing ovation and of course not only as the most decorated Swimmer, but the most decorated Olympian ever in history with 28 medals, more than some countries have ever achieved. ☆ Yona Knight-Wisdom making the Semi-Final of the 3m Springboard Diving Competition. He fell marginally short from making the Final but definitely has the potential to return and do even better! 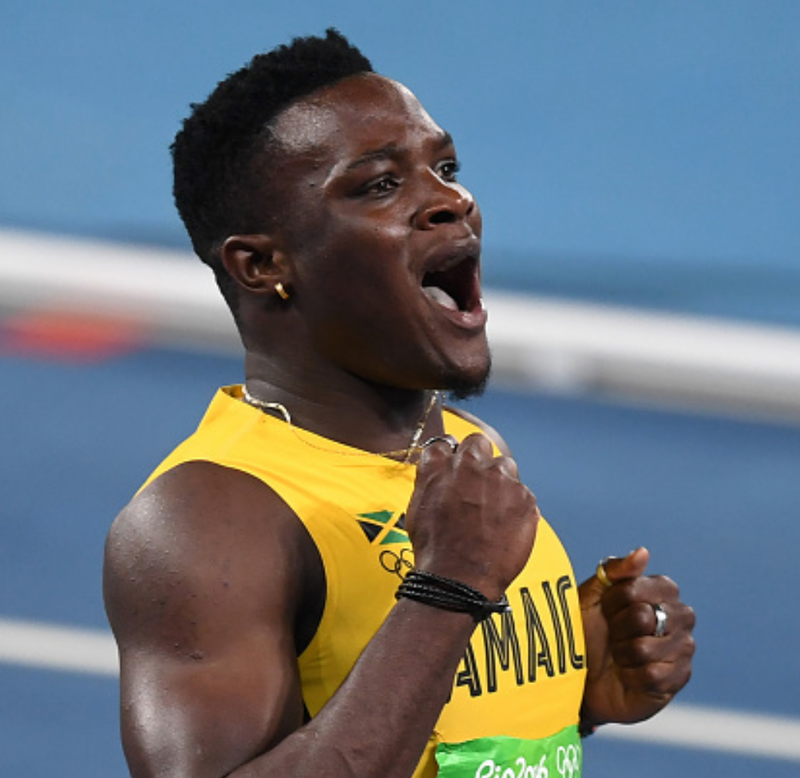 ☆ Omar McLeod being the 1st Jamaican man to win Gold in the Men’s 110m Hurdles. 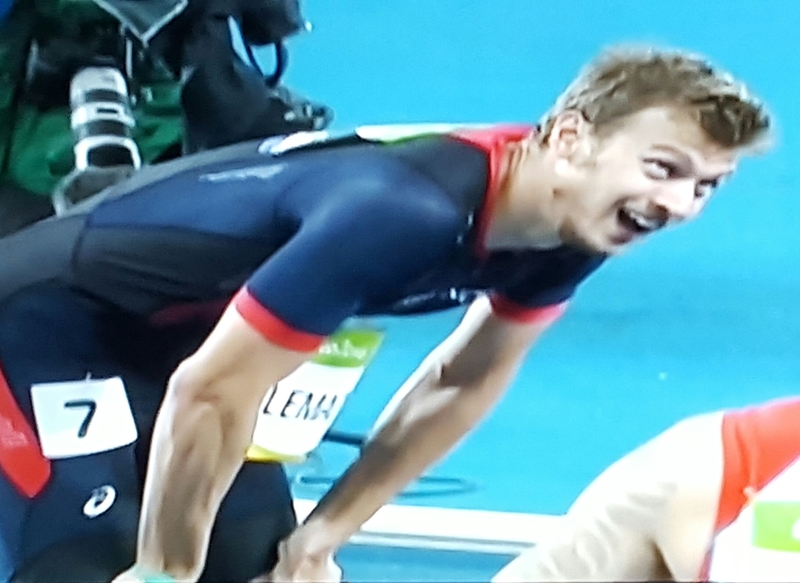 ☆ Christophe LeMaitre of France, known for continuous determination, finally winning his first individual Olympic medal, a Bronze in the Men’s 200m. ☆ Usain Bolt completing the Sprint Double by winning Gold for the Men’s 200m. ☆ Elaine Thompson passing the Dutchie, Dafne Schippers on the left hand side to win the Women’s 200m and the Sprint Double which has not been done since 1988. 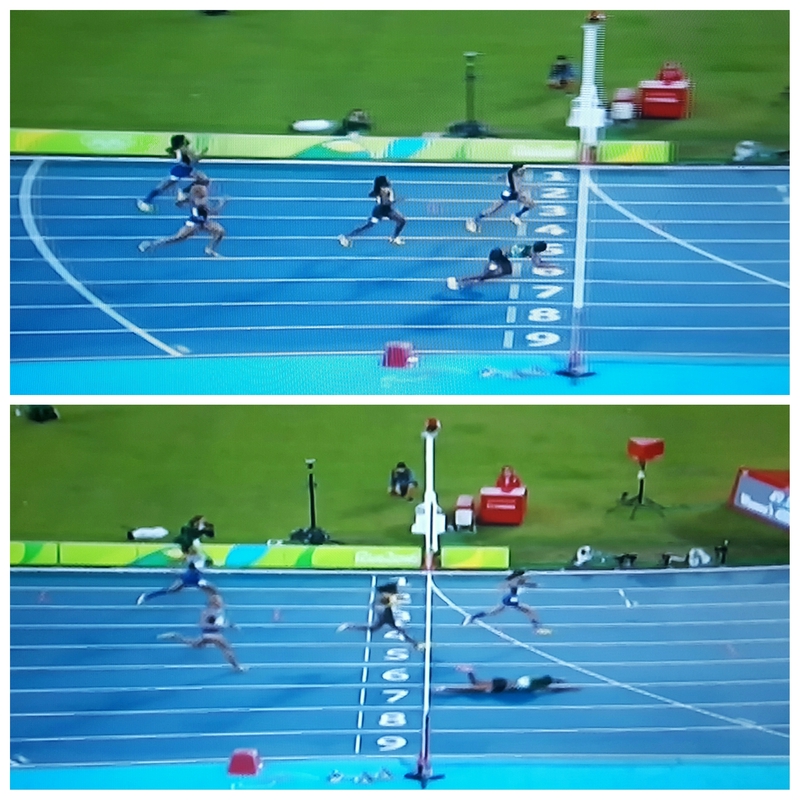 ☆ Shaunae Miller of the Bahamas winning the Gold in spectacular fashion for the Women’s 400m ahead of USA’s Allyson Felix and our Shericka Jackson getting the Bronze. ☆ Jamaica’s Aisha Praught making the Final of the Women’s 3000m Steeplechase. ☆ Great Britain’s ‘Mo’ Farah falling and getting up back then showing the thumbs up sign in the Men’s 10000m with 14 laps to go, then continuing to win the Gold. He also won Gold in the Men’s 5000m. ☆ Ethiopia’s David Rudisha Defending his 800m title, winning the Gold. ☆ Javon ‘Donkey Man’ Francis anchoring the Men’s 4×400m Relay starting his leg from way behind and taking them to Silver! ☆ Brazil winning their first Olympic Gold in Football in front of their home crowd in a Penalty shoot out versus Germany with their star, Neymar scoring the winning Penalty kick. ☆ Usain Bolt sealing the deal, cementing himself in history as the G.O.A.T by anchoring his team of Asafa Powell, Yohan Blake and Nickel Ashmeade to Gold in the Men’s 4×100m Relay and thus completing the Triple-Treble. Next stop for our Athletes? London World Championships 2017! Previous PostUsain Bolt completes Triple-Triple and the last RIO Schedule!Next PostBD Trawling’s Pop Up Kitchen this Friday!